Cloud computing is the most significant technology development of our lifetimes. It has made countless new businesses possible and presents a massive opportunity for large enterprises to innovate like startups and retire decades of technical debt. But making the most of the cloud requires much more from enterprises than just a technology change. Stephen Orban led Dow Jones’s journey toward digital agility as their CIO and now leads AWS’s Enterprise Strategy function, where he helps leaders from the largest companies in the world transform their businesses. 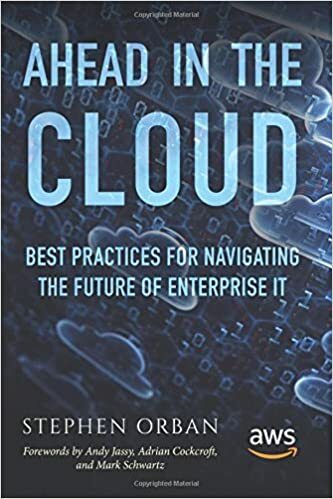 As he demonstrates in this book, enterprises must re-train their people, evolve their processes, and transform their cultures as they move to the cloud. By bringing together his experiences and those of a number of business leaders, Orban shines a light on what works, what doesn’t, and how enterprises can transform themselves using the cloud.